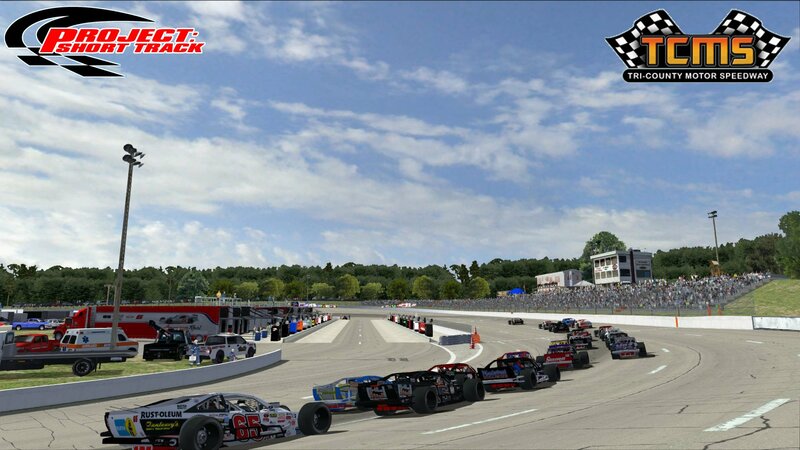 The Project: Short Track development team is very happy to present a daytime version of Hudson, North Carolina's Tri-County Motor Speedway. The track is a moderately (9-12 degrees) banked 4/10th's mile paved oval with a dual pit road for 30 cars and the pace car. This version reflects its more prosperous times with full billboard and Victory Circle sign sponsorship, but we've also included optional files to reflect minimal or even blank billboards in turns 3/4 and Victory Lane (much like how the real facility looks during it's weekly shows). Whatever options you choose, TCMS will provide a fully immersive racing experience with careful attention to the extreme detailing you've come to expect from PST. Wayne Anderson, Ian Smythe and I painstakingly worked to recreate all the objects, buildings and surroundings of the facility to be as true-to-life as possible. However, this track offers way more than just "eye candy". The racing experience against the a.i. will give you tons of action packed side-by-side racing and excitement! Two distinct racing grooves gives you and the a.i. the ability to make passes in both racing grooves.... either high or low. In addition as with all of our track releases, we have provided some pretty nice and stable base Fast setups that should get you up to speed and competitive quickly and give you a head start in dialing up a setup perfectly suited to you. Be sure to read the CREDITS README file provided with the track that includes an interesting back story on the creation of this track. We also acknowledge all of the talented people who made objects and contributions that helped make this project possible, as well as info on how to get the best results when racing on the track in NR2003. In closing, we sure hope we have done our friend John Hopkins proud in finally bringing his dream to completion since it inception over 5 years ago. 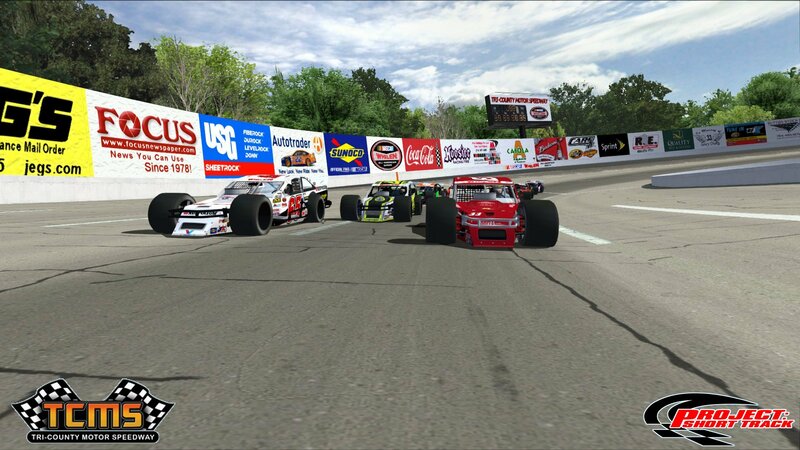 A night version of the track is also in the works and will be available soon, but right now.... it's time to get down to some serious racing at Tri-County Motor Speedway... "Where the ACTION is the ATTRACTION”! Amazing work, thanks for posting.